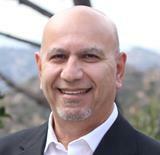 A La Crescenta resident for the past 31 years, Shawn Tanara one of the Crescenta Valley most respected Realtor, With over 26 years of local real estate, client relations,mortgage lending and banking (Bank of America) experience. Graduate of the Realtor Institute (GRI), a California trust and probate specialist. Shawn has been the recipient of many awards and honors; a member of Colldwell Banker International Sterling Society. Shawn specializes in La Crescenta and surrounding neighborhoods which include, La Cañada, Montrose, Glendale, Altadena, Pasadena, South Pasadena, San Marino, Sierra Madre, Sunland and Tujunga. His commitment to his community is reflected in his involvement with a variety of organizations, most notably, the Community Emergency Response Team (CERT).